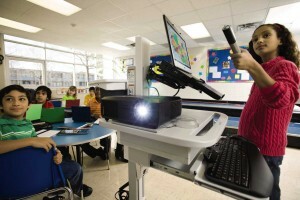 Is your classroom using a projector? 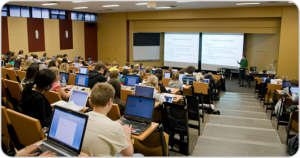 Check out our resources for schools and learn how to get your projector working for you. We’ll show you how to safely use projectors, how to protect your students eyesight and the best way to use projectors. Welcome to our educational community. 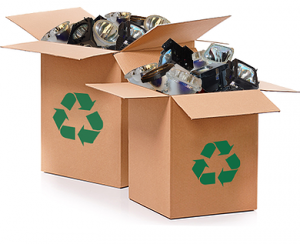 Through our parent company MI Technologies, we’ve partnered with the University of San Diego Electronics Recycling Center to create a projector lamp recycling program that gives you special discounts and rebates for recycled projector lamps. The programs offers a store credit of $7 for purchasing an OEM compatible or a $10 credit towards your purchase of an OEM original projector lamp. It’s as simple as filling out our online shipping form. Let us help you take care of your old lamps and contribute to keeping landfills free from hazardous chemicals and heavy metals. Our library has been created to help you keep developing your projector skills and learn how to solve problems. We also have a forum where you can join our community of experts who can help you solve any technical issues. If there is a topic you would like to cover contact us and we will be happy to get it into our library.